Microorganisms are widespread and, once present, they can compromise product functionality, performance and aesthetics. Exposure to microorganisms can also affect human health. JANSSEN PMP® offers a range of pyrithione-based antimicrobials under the PYRION™ brand to inhibit microbial growth in a variety of industrial applications such as metalworking fluids, plastics, textiles, construction materials, paints, coatings, adhesives, sealants, caulks, leather processing and marine antifouling paints. Zinc PYRION™, Sodium PYRION™ and Oxy-PYRION™ exhibit excellent broad-spectrum activity against fungi, algae and bacteria and are gaining increased market popularity. Zinc PYRION™, by virtue of its low water solubility, is extremely suitable for applications where low leaching and long-term protection are required. Sodium PYRION™ and Oxy-PYRION™ allow formulators the flexibility of a water-soluble antimicrobial agent for aqueous applications. JANSSEN PMP®’s research and development in wood preservation began over 30 years ago. We are widely known for the successful introduction of azoles under the tradename WOCOSEN® and permethrin in the wood preservation industry. Our compounds are co-formulated with other organic active ingredients or with copper compounds. These combinations allow minimizing the levels of active ingredients in the treatment products by providing a wider spectrum of coverage against wood attacking organisms. This low retention approach helps to ensure competitiveness and additional reduction of the potential environmental impact of the treatment. From the moment a tree is felled and brought to the sawmill, the timber needs protection from wood attacking organisms. This protection is required during the entire service life of the wood. JANSSEN PMP® also has a range of wood protecting concentrates which are optimized to be formulated into industrial, professional and DIY wood preservation products. These active ingredients and products are effective in the preservation of solid timber as well as in the protection of engineered wood products. Dry paint films, particularly exterior coatings in most climates, as well as interior paints for wet areas such as bathrooms or kitchens, are susceptible to microbial attack by fungi and/or algae. The extent of colonization by different organisms varies depending on the prevailing conditions (temperature, substrate pH, humidity and light intensity), but under the right circumstances fungal and algal growth can cause massive defacement of exterior and interior surfaces. Zinc PYRION™ has excellent dual fungicidal/algicidal activity and possesses all other key features of a dry-film preservative including ease of formulation, alkaline stability, thermal stability, low solubility in water and organic solvents, high leaching resistance and ability to deliver long lasting protection. Zinc PYRION™ can be used as a stand-alone fungicide/algaecide or in combination with other dry-film preservatives. Microbial growth in water-based coating systems when stored inside the container may cause undesired gassing, odor formation, discolouration, gelling or liquefaction, emulsion breakdown and pH variation. For aqueous coatings, bacterial spoilage is typically more of a problem than fungal contamination. In view of the hazard classification and labelling thresholds of the traditional in-can preservatives, namely formaldehyde releasers and isothiazolones, Zinc PYRION™ and Sodium PYRION™ are increasingly being used as major components of biocide blends for in-can preservation. Janssen PMP® supplies Zinc PYRION™ and Sodium PYRION™ to some of the leading coatings manufacturers as well as specialist biocide formulators. Zinc PYRION™ is available in powder form or as Zinc PYRION™ 48% MPF, which is a micronized water based suspension concentrate. Sodium PYRION™ 40% is a true solution of sodium pyrithione in water. 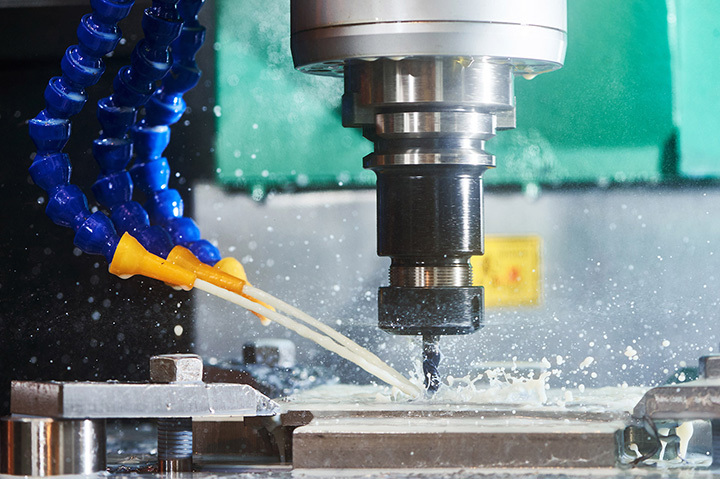 All water-based metalworking fluids share the common problem of susceptibility to microbial attack by bacteria and/or fungi (yeasts and moulds). Fungi, in addition to causing odours and potentially even hygiene and health problems, can also cause several technical problems in metalworking operations. Fungi grow in unsightly masses, plug metalworking fluid lines or pipes and can reduce rust-inhibiting properties of the metalworking fluid. Synthetic metalworking fluids are more susceptible to fungal contamination than are emulsion type fluids. Sodium PYRION™ (sodium pyrithione) is a broad spectrum industrial fungicide which is highly effective against most fungi (yeasts and moulds) commonly found in metalworking fluid systems. Sodium PYRION™ is stable in most metalworking fluid formulations and is therefore mostly incorporated into metalworking fluid concentrates. Janssen PMP® supplies Sodium PYRION™ 40%, which is a true solution of sodium pyrithione in water, to specialist metalworking fluid formulators.